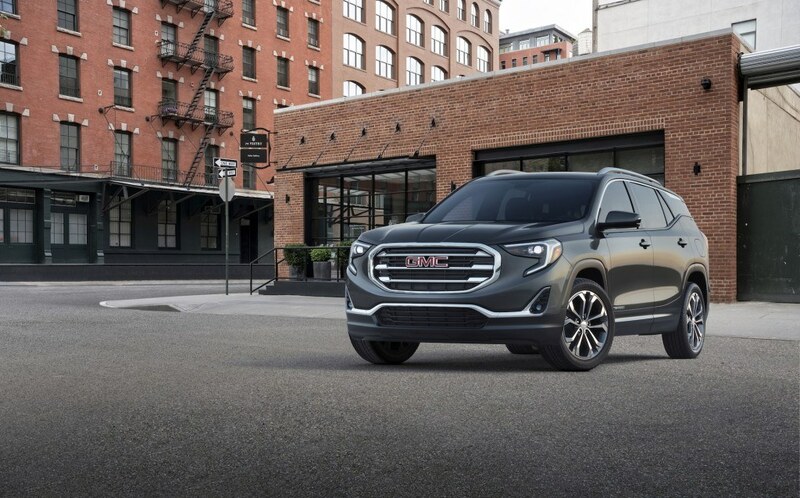 The 2018 GMC Terrain is the perfect vehicle for life in Coquitlam. 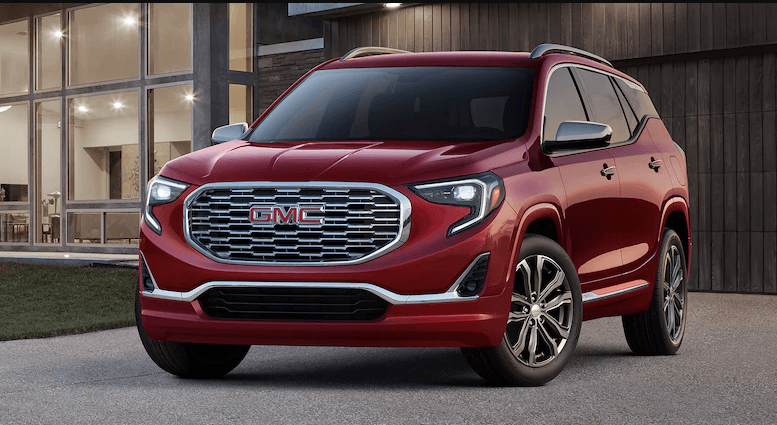 GMC’s compact luxury SUV comes ready to play with innovative and technologically advanced features, fuel efficient power plant, and bold athletic styling that elevates in beyond its competitors. 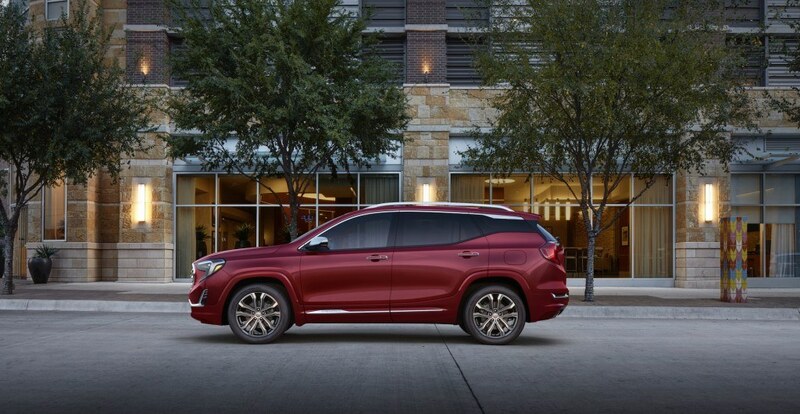 The all-new 2018 GMC Terrain features many eye-catching and head-turning features geared towards innovation, user-friendliness, style, and efficiency. Take for example its stunning C-shaped LED signature lighting that give the Terrain a bold appeal in collaboration with its sculpted front grille. The Terrain boasts powerful front headlights to help cut through nighttime in the Lower Mainland, and matching LED tail lamps to complete the look from front to back. The 2018 GMC Terrain also features a beautiful floating roof design that helps the Terrain maintain a light and sophisticated aesthetic, modernizing the roofline and creating a streamline flow for the eye. 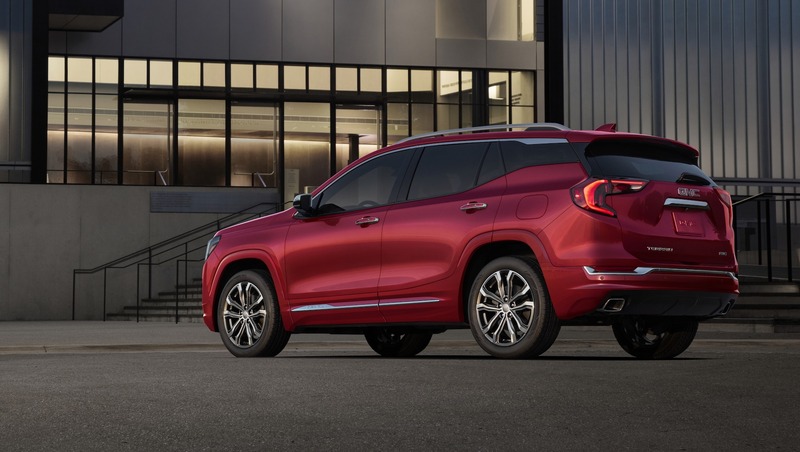 New additions to the 2018 GMC Terrain include an all-new interior designed to mimic the bold and crisp styling of the vehicle’s exterior while providing first-class comfort and practicality. 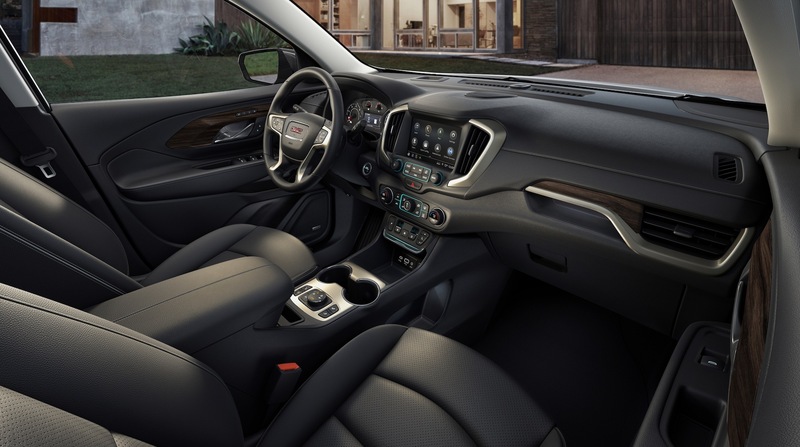 The Terrain interior uses premium materials like leather-wrapped steering wheel, authentic brushed aluminum trim and soft-touch surfaces to maximize user comfort and appeal. The 2018 GMC Terrain was designed with versatility and utility in mind, and now features a front-to-back flat load floor so users can maximize every available inch of cargo space. The new Terrain also features an all-new power liftgate to make loading the vehicle a snap. 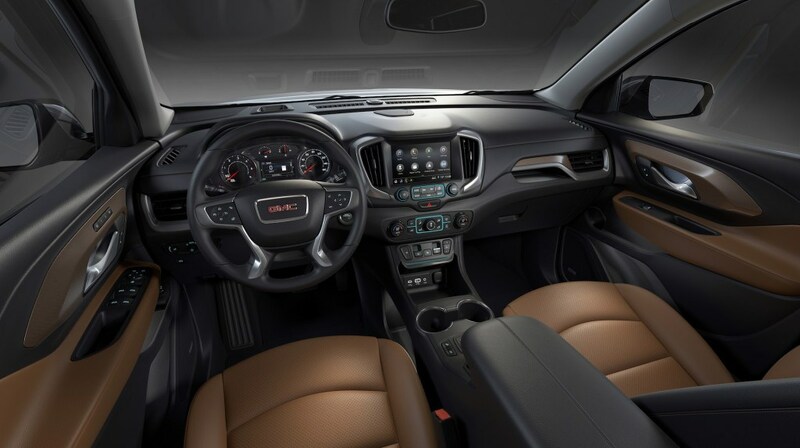 The 2018 GMC Terrain would not have been complete without an all-new centre console. The vehicle boasts a button-operated Electronic Precision Shift system to operate its transmission, while simultaneously freeing up valuable front cargo and storage space in the cabin. Optimal combination of fuel efficiency and performance with 170 horsepower and 203 lb/ft of torque. Impressive off-the-line diesel power and efficiency with 240 lb/ft of torque coupled to a 6-speed auto transmission. The pinnacle of Terrain performance, boasting 252 horsepower and 260 lb/ft of torque. Average fuel efficiency rating of 8.4L/100 km combined. Innovative driver-suite of safety features including available low speed forward automatic braking and lane keep assist with lane departure warning. Eagle Ridge GM proudly has the 2018 GMC Terrain for sale in Coquitlam, in many different colours and trim levels, focused on matching you with your ideal vehicle today.